As a veterinarian, Dr. Jennifer Creed has a penchant for treating dogs and cats. Among other kinds of care, Dr. Jennifer Creed provides veterinary dentistry, drawing on specialized training, and routinely performs a number of different dental procedures, ranging from cleanings to extractions. 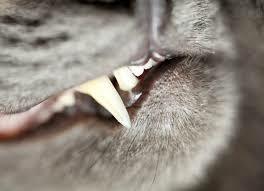 Veterinary dental surgery is a common need among cats with feline ondoclastic resorptive lesions (FORLs), also known as tooth resorption. The condition occurs as a result of the activation of odontoclast cells, which destroy the normal bone cells in the teeth and leave a hole, which resembles a red spot. FORLs most often develop at the base of the tooth, where it touches the gum line. They are often difficult to see because the gum tissue begins to grow over the tooth as a protective measure. Some lesions cause pain or reluctance to eat, thus prompting owners to seek medical attention. Others are asymptomatic and may make themselves known initially during a visual checkup, although lesions hidden by gum tissue may only become apparent if the cat is under anesthesia for routine dental care or treatment. Extraction is the most common treatment for FORLs, as untreated lesions continue to grow and may become chronically painful. It may be possible for a veterinarian to save the tooth with a restorative procedure if the lesion is diagnosed early enough in its development. More advanced lesions may instead be treatable with a procedure known as a crown amputation, in which the veterinarian cuts away the portion of the tooth above the gum line and closes the wound over the resorbed root.